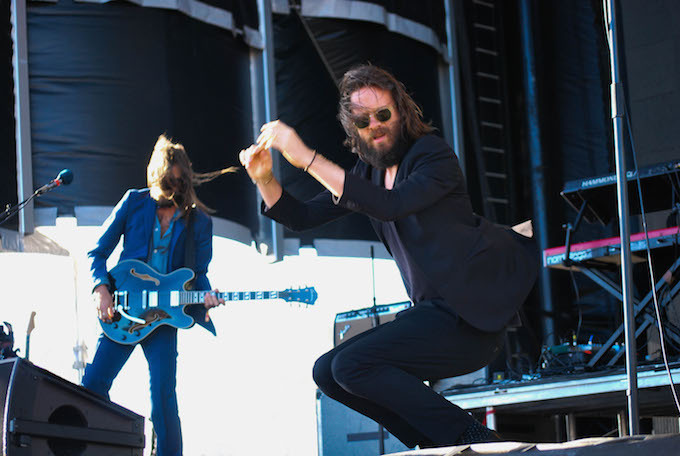 Father John Misty at TIMF 2015. Treasure Island Music Festival’s final iteration on Treasure Island itself is now within sight. Much like the city’s other long-running local festivals such as Noise Pop Festival and Outside Lands, TIMF has become its own institution, conjuring bittersweet feelings as the original incarnation of the festival reaches its twilight. It feels appropriate now to take a moment and reminisce on what the festival has brought to the Bay Area. I’ve been fortunate enough to go to several iterations of TIMF, including last year’s fest when I got to photograph artists like Chvrches, Father John Misty, FKA Twigs, The War on Drugs, and The National, from the pit (some of those photos you’ll see here.) However, a lot of my personal fondness for the event is embedded with the first year I ever attended the festival back in 2008. I went not as a member of the press, but as a fan and general admission attendee. 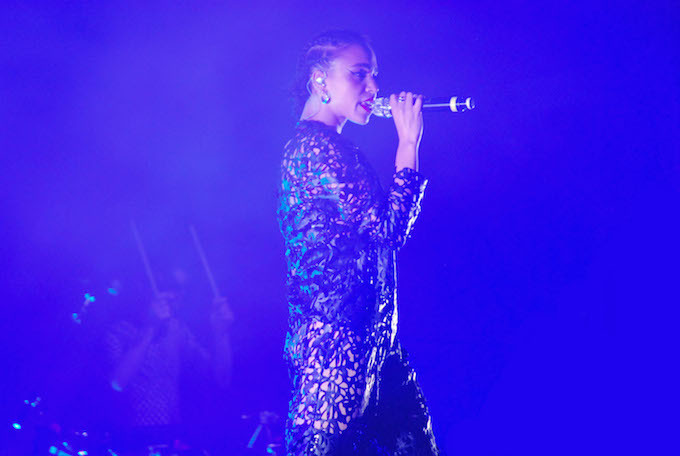 Always a two-day affair, it’s often organized with one day that leans toward hip-hop and electronic music, and the other day slanting more toward an indie rock vibe. This is not a hard and fast rule, but just something of a guideline. War On Drugs at TIMF 2015. War On Drugs at Treasure Island 2015. 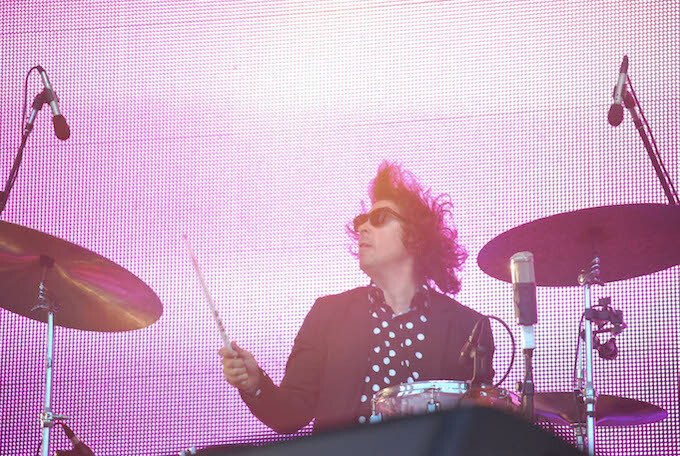 In its sophomore year, the 2008 edition was headlined by the Parisian heirs to the French House throne, Justice, while day two was headlined by The Racontours, the project from Jack White and Brenden Benson. 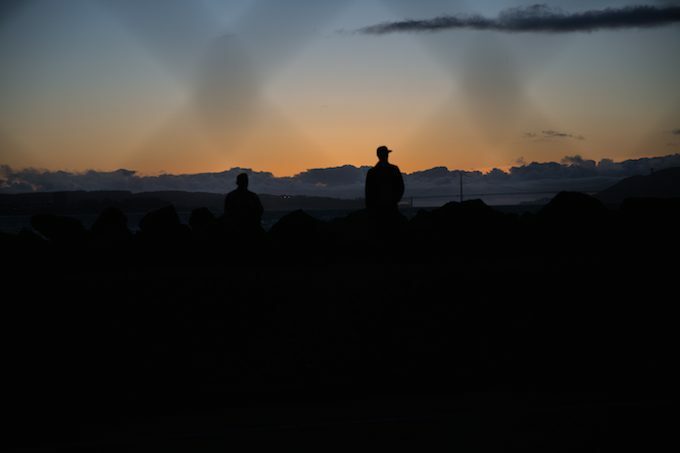 The latter is still on indefinite hiatus, but Xavier de Rosnay and Gaspard Auge of Justice are still making their disco beats. But there’s no question — In 2008 both acts were at their apex and well deserving of their headlining status. 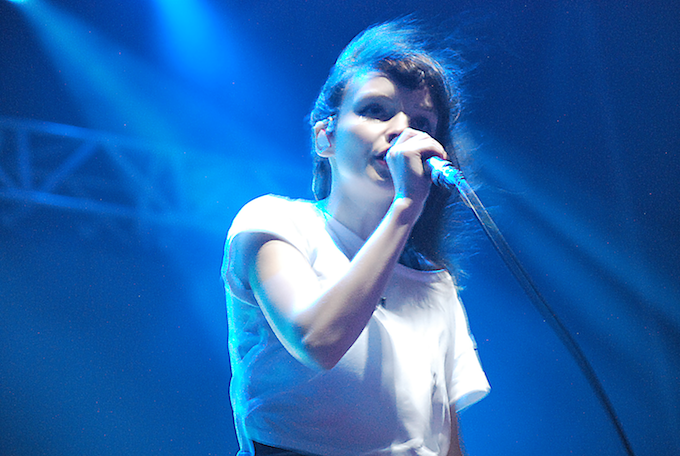 Also on the bill was TV On The Radio, Tegan and Sara, Vampire Weekend, Goldfrapp</a>, Hot Chip, and CSS. Lower on the cards such as Amon Tobin, The Kills and Dr. Dog would surely have higher placement these days. As it was true then, it still is now: TIMF also gave a number of local Bay Area acts some time to shine. 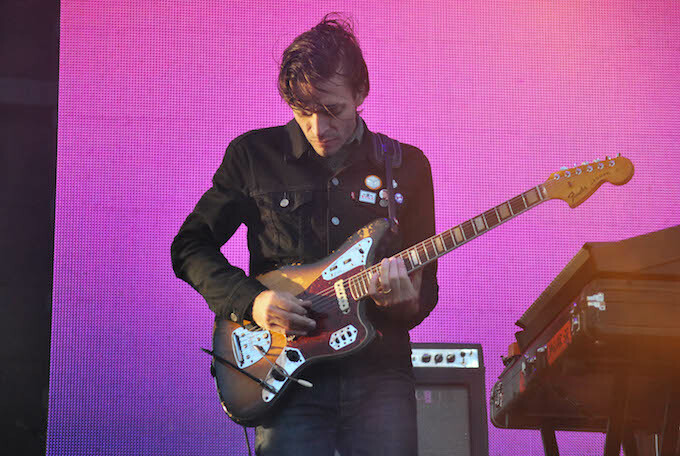 The Dodos, John Vanderslice, The Frail, and POP ETC (fka The Morning Benders) all had the chance to prove themselves on the Treasure Island stage. 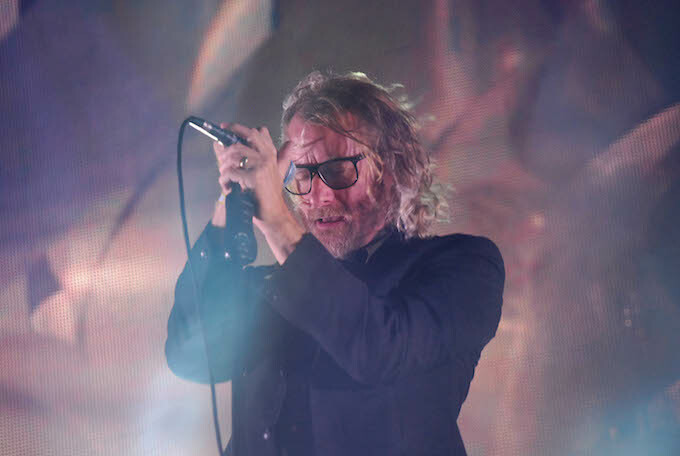 The National at TIMF 2015. Noise Pop and Another Planet Entertainment, the organizers of the festival, provided free shuttle service from San Francisco proper. However, there was no free shuttles from the East Bay. It’s nice to see that being rectified finally with shuttle services being offered for the first time this year. A little late in the game, but it is definitely welcomed. As it happened in 2008, my friends and I only attended the first day, and once on the island, I kept thinking to myself how small the festival grounds were. I cannot remember what publication said this, but it has always stuck: Treasure Island’s festival grounds are smaller than the parking lot at Bonnaroo. Of course, the intimacy of the space plus that view of San Francisco’s skyline has always been one of the event’s biggest charms, and they sure were working its magic on us. TIMF 2015. Photo by Nick Wolf. It’s been pretty cool to see him put out YouTube clips of his movie remixes in the years since. What was particularly cool in 2010 was that shortly after Relm uploaded his trailer remix of “Iron Man 2,” the film’s director, Jon Favreau showed the executives at Marvel and Paramount (the comic company’s now former film distributor) the clip. Favreau convinced the executives to offer Relm a chance to create a wholly new 45-second TV spot teaser. Although there are plenty of other stories about 2008 TIMF and for that matter, about what the festival has done since, one of the most memorable acts of the year — the one that mattered most to me and my friends — was Justice (see grainy, zoomed photo above, taken on my old Canon point and shoot.) As part of the Ed Banger Records label, the duo, whose influences include everything from Metallica to Hall and Oates, unleashed its debut LP, †, the year prior with a pulsing, electro house sound. The album was a revelation, and the reception of it was rapturous. The band and that album was just a small harbinger of things to come for dance music, foreshadowing its growth crossover appeal. Now, San Francisco being San Francisco, the sun barely poked through the fog and clouds in the afternoon. And while the beautiful view of the city’s skyline from the island’s Great Lawn was breathtaking, the wind at night was breath-chilling. But adding all of that up resulted in an atmosphere that helped Justice’s set feel all the more epic. 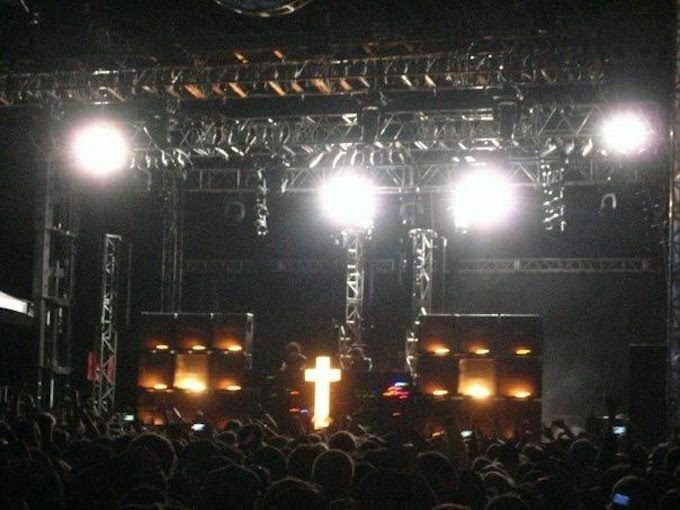 That is, if the stunningly high stacks of Marshall amps and the duo’s cross logo wasn’t an epic stage set-up itself. 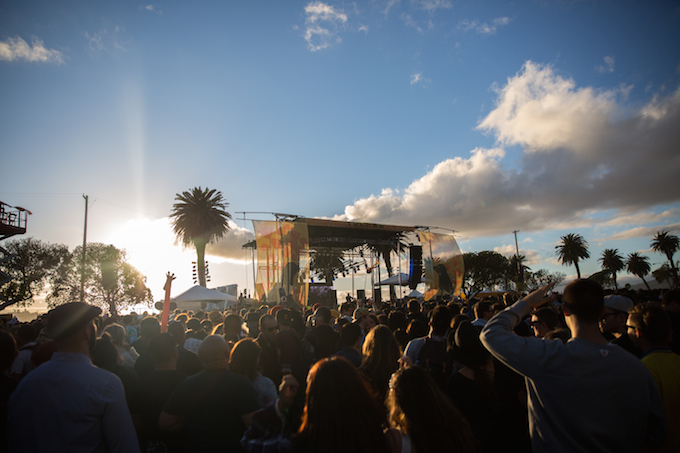 Treasure Island Music Festival has woven itself into the fabric of San Francisco’s music culture. Remember that its inception even pre-dates Outside Lands. But now, with the festival moving off the island after this year, it feels right to be there for the final hurrah on its namesake. This year’s festival is to be held on October 15th and 16th, and true to form, it’s packed with an eclectic mix of artists that skew toward dance, rap and indie rock. Ice Cube (with N.W.A. cohorts MC Ren and Yella) tops the bill on Saturday, while Sigur Ros is given the honor of closing out the festival on Sunday (See the full lineup hear our festivalp laylist over on eventseeker! To make things even more special, TIMF 2016 will be held on the Oakland side with views of the East Bay and the eastern span of the Bay Bridge for the first time.